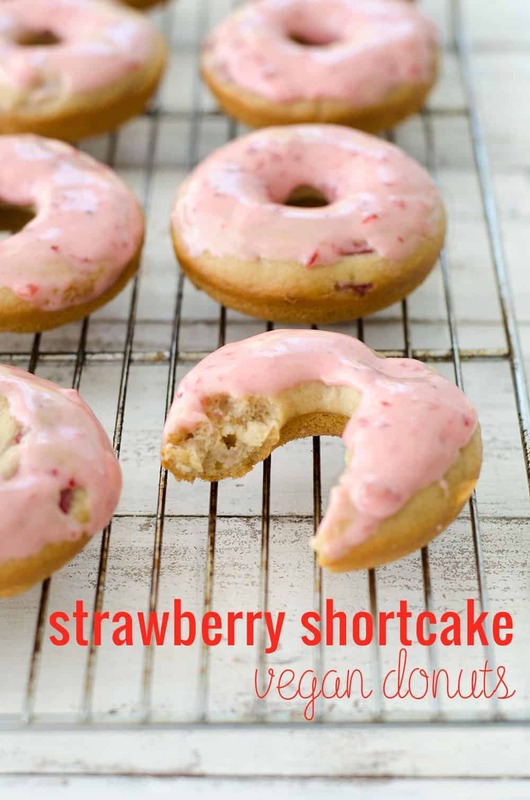 Vegan Strawberry Shortcake Donuts! 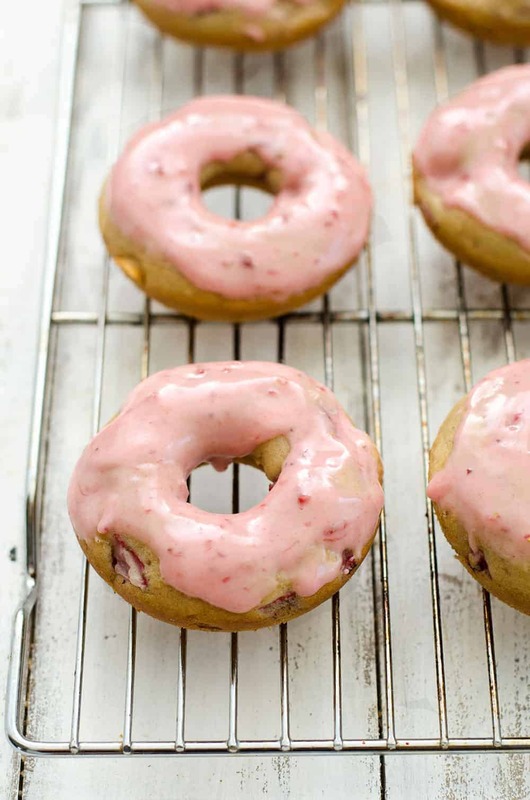 Strawberry donuts with strawberry frosting! You have to try these- perfect for Spring! My donut pan is the best worst thing that’s happened to my kitchen. In a recipe rut? Make a pan of donuts. Need a sweet treat to take over to the neighbors? Donuts. They are so darling and fun to make, especially when covered in a fresh strawberry glaze. Spring will always be strawberry season to me. Growing up, after our Mother’s Day brunch, my sisters and I would always treat our mom to an afternoon of strawberry picking. We had fields a few miles from our house and I looked forward to the day for months. We would pick- and eat- so many strawberries, then come home to create strawberry jam, fruit salad, ice cream, and every strawberry baked good imaginable. Thank goodness we didn’t have a donut pan back then, as I’m sure I would have favored strawberry donuts to just about anything else. If you haven’t made baked donuts yet, they taste a lot more like cake donuts than any fried ones. 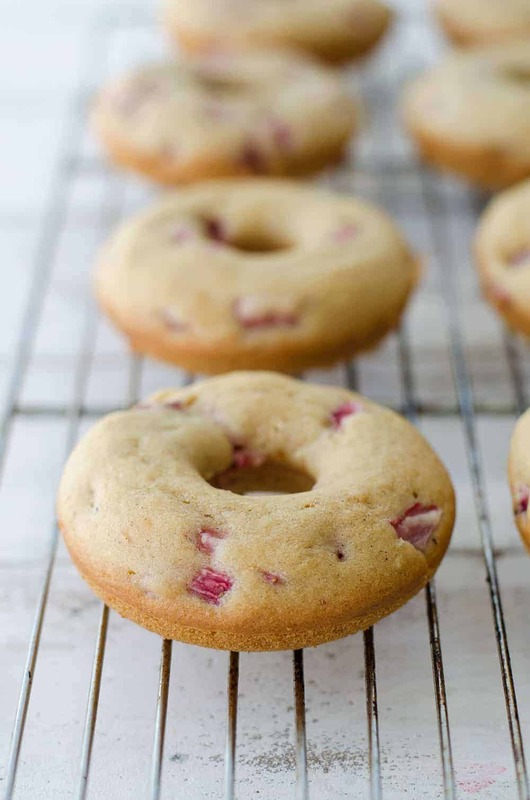 Slightly tender, a little chewy, but with enough bite that you know these are definitely donut material. If you like cake donuts, you are going to love these. While you can enjoy these donuts sans frosting- why would you? Mash a few berries together with jam until you get a sticky paste, then whisk in enough powdered sugar to make the glaze consistency of your choice. I like mine a little runny that seeps into the hot baked donuts once dunked. 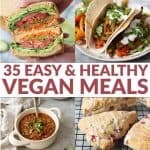 If you make these (or any recipe), i’d love to know! Seeing your photos of my recipes completely makes my day. Tag #delishknowledge or leave me a comment below. Have a wonderful Friday. I foresee donuts in your weekend! Preheat the oven to 325 degrees F and lightly spray a [url:1]donut pan[/url] with cooking spray. In a large bowl, mix together the sugar, applesauce, almond milk with vinegar, oil and vanilla extract. Whisk together until smooth. In a separate bowl, mix together the flour, baking powder, baking soda, cinnamon and nutmeg until combined. Slowly add in the flour mixture to the liquids and stir until just combined, taking care not to over mix. 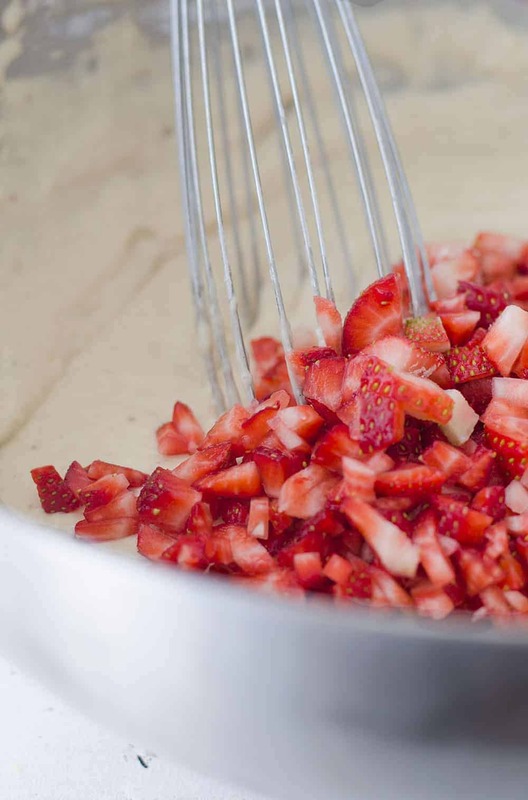 Gently fold in the chopped strawberries. Spoon the batter into a donut pan, filling each hole about 3/4 of the way. You can do this with a spoon or by placing the batter in a pastry bag or ziplog bag with a corner sliced off and piped into the pan. If you want a “prettier” donut, use this method. Bake for 15-18 minutes, until the tops of the donuts begin to brown. Remove the donuts from the oven and allow them to cool slightly before removing them from the pan and frosting. 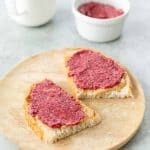 Mash together the finely chopped strawberries and jam in a bowl. Slowly stir in 1 cup of the powdered sugar, adding more until you reached the desired consistency. I made a thick frosting here, using about 1 3/4 cup sugar. Yes!! I hadn’t made doughnuts in month, but ended up baking a new batch this week! Always good! Yum! Just in time for strawberry season! Must try these! I’m about to make these to snack on this weekend. How would you store these and should I frost them after they cool and store, or should I wait and frost them when I’m ready to eat them? Thanks! Hi Laurie, I recommend not frosting them until you are ready to eat them. Thanks for the reply Alex. These donuts are delicious!